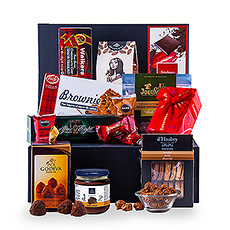 We deliver Christmas gifts in Denmark with presents and hampers including chocolate and gourmet gifts for the holiday season. Luxury Christmas gifts for families, friends, and corporate gifting. 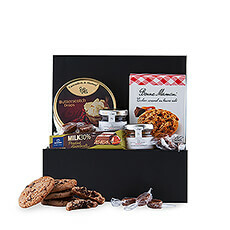 Celebrate the holidays with the best gourmet Christmas gift baskets, chocolates, and much more delivered to Denmark. Christmas is the perfect time of year to enjoy nice food, champagne, wine and of course to exchangve presents. It’s also a great occasion to send gifts to your international business partners in Denmark to thank them for their valuable business throughout the year, and to wish them a merry Christmas and a happy and prosperous new year. GiftsforEurope makes it easy to find and send Christmas gifts overseas on time for December 25th. Our Xmas catalog includes gifts for women, men, couples and the whole family. 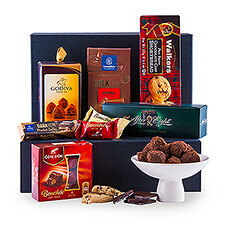 GiftsforEurope has been selling gifts online since 1998, and we have always designed and created our gifts ourselves. 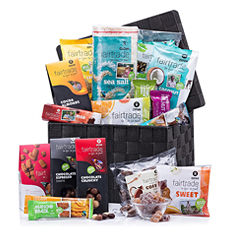 Each year we have a range of new Christmas gift baskets for delivery in Denmark, and for the holiday season we’ve made a selection of our best hampers from the range of gifts we created throughout the year. 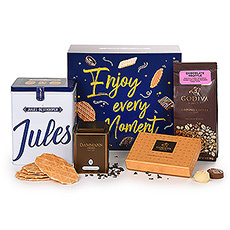 Our gift baskets for Xmas are filled with Belgian chocolate, French champagne and wine, Dutch cheese and other luxury gifts from across Europe. Christmas is also a time of traditions, so it might be a good idea to opt for a more traditional Christmas present to send to your friend, family member, colleague or business partner in Denmark. 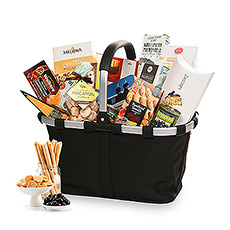 Our gourmet gift baskets are the best choice for those looking for a typical Christmas gift. 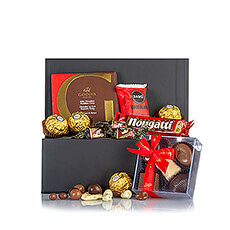 Do you have clients, employees or other business partners in Denmark that you would like to send a Christmas gift? 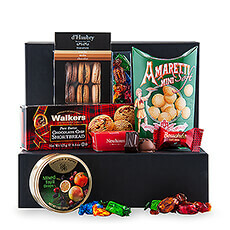 Our team of gift experts can help you find the best gift basket and will gladly assist you to personalize your gift to the style of your business. 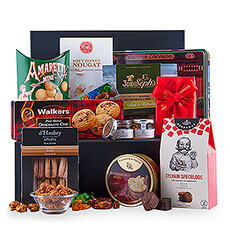 Since 1998, GiftsforEurope has been sending corporate Christmas gifts to Denmark and other countries in Europe. 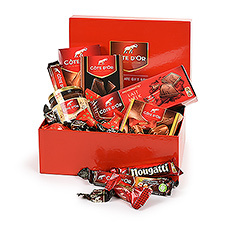 We can even create a gourmet hamper tailored to your specific needs and wishes and deliver your gifts across Europe.